Winters are here and with the current fashion scene we can most definitely say that the faux leather jackets are the fashionable and trending pieces ranking high in the market. The artificial toppers whether in the form of moto, trench or bomber style have managed to provide the shoppers with authentic style in exceptional prices. We have today compiled a list of 10 faux leather jackets that are 99% close to the original. 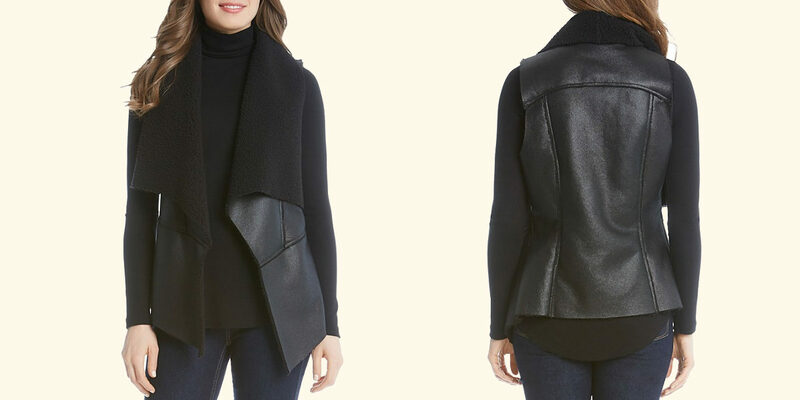 The BCBGMAXAZRIA faux leather cape with hook and eye front closure is definitely an essential edgy piece to add in every cool girl’s closet. 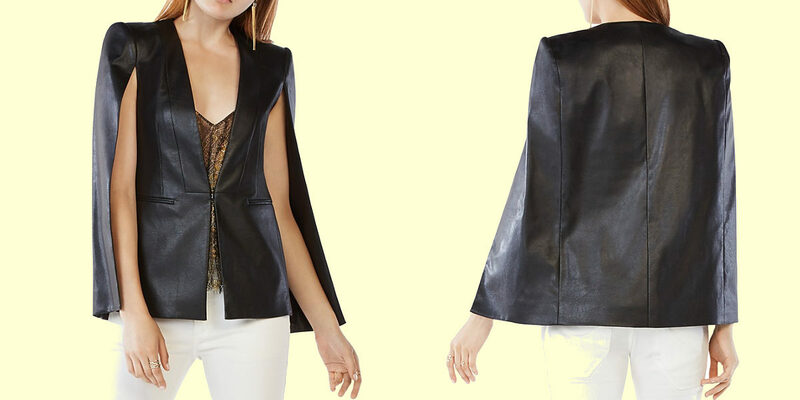 The draped fold-over sleeveless lapels in faux leather make the vest fit well on any body type. The simple and minimalist silhouette make the design stylish and classy. 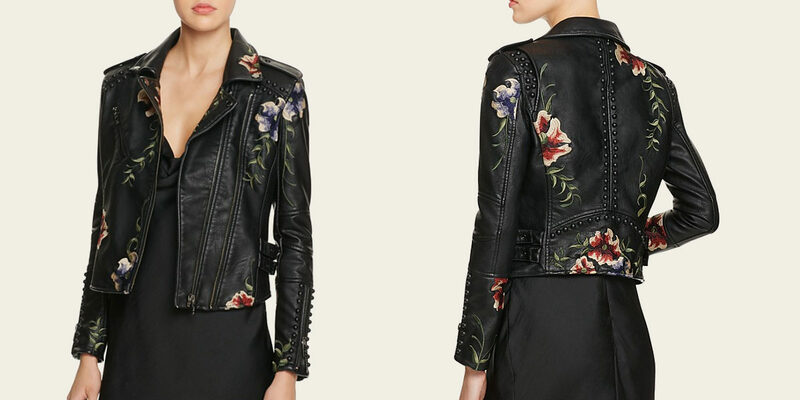 The biker jacket is definitely a must-have in everyone’s closet and BLANKNYC has made this essential feel fresh with a beautiful embroidered floral pattern. Studs contain the romantic look with just the right amount of attitude that makes the close fitting layer an edgy essential in the Fall wardrobe. Glamorous and stylish, the artisanal style stud work jacket by Tart is definitely the best pick to enhance the standard look of your outfit. 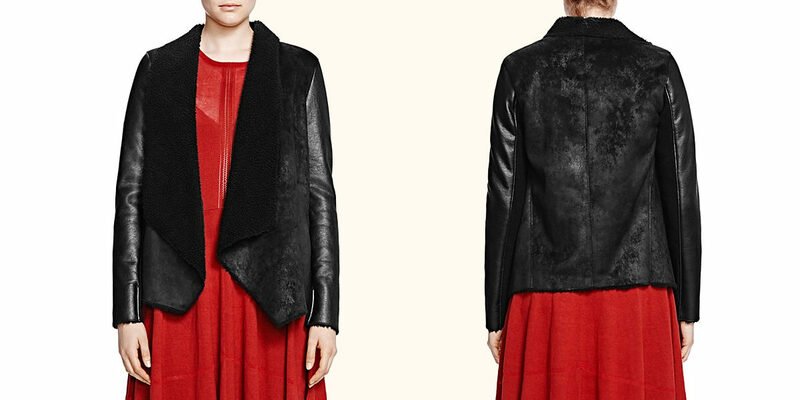 The draped faux shearling jacket from The Kooples is equally cosy and luxurious. The jacket with its soft style can certainly bring a luxe turnaround to the romantic floral dresses, jeans and much more. Sleek and stylish, the faux leather accents add a dose of cool to this timeless jacket from BLASER PLUS. 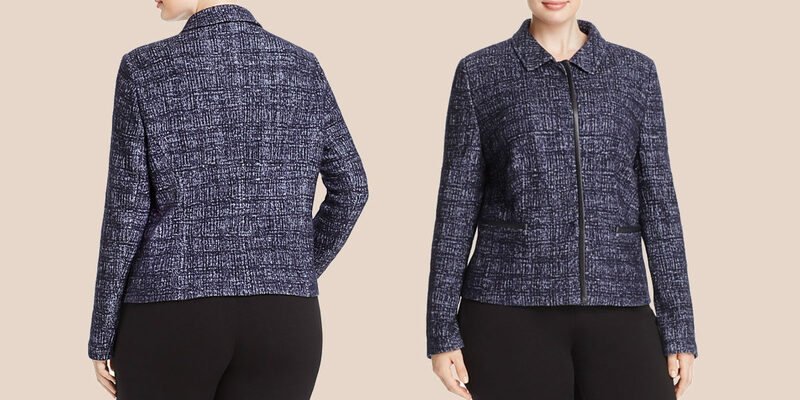 Spread collar, long sleeves, two slit front pockets and faux leather trim bring the needed touch of elegance and charm to the jacket. Round neck, long sleeves and tonal faux leather side panels make the jacket by Lafayette a traditional and sophisticated pick to have in your wardrobe. 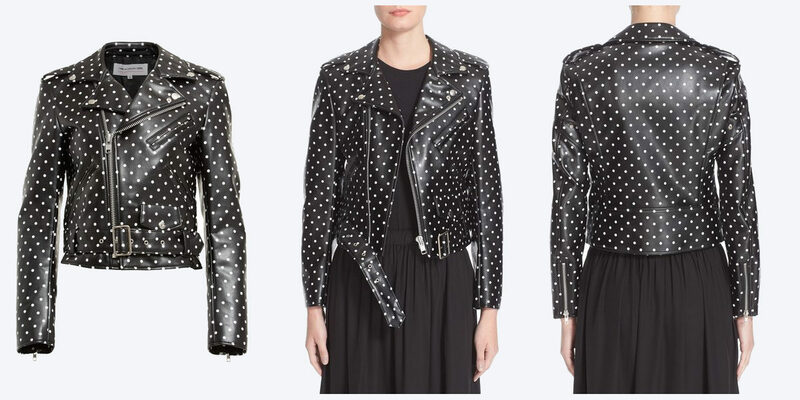 Smart white dots bring a stylish upgrade to the look of the classic black moto jacket. Made from supple faux leather and shining silvertone hardware, the jacket is unique and chic. This faux leather moto jacket by Moschino is the perfect definition of punk meets posh. The jacket is adorned with chunky silvertone chains and pearly beads draping from the shoulders and zippers. The channel stitching in the back along with an adjustable belt define the waist of the cropped silhouette. The jacket with its biker inspired style is made from smooth faux leather. The cropped silhouette is framed with shortened sleeves and detailed silver-tone zippers. The wide collar and notched lapels bring the added edge to the design. Classic or edgy, pick your favourite faux leather jacket that is almost 99% close to the real deal.